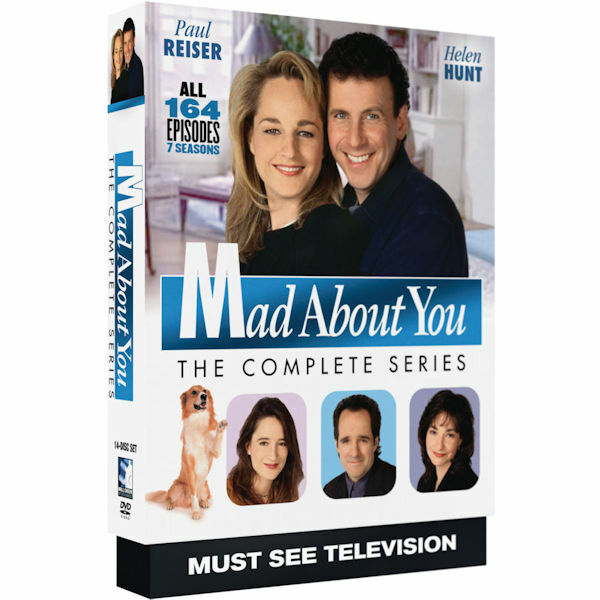 Paul Reiser and Helen Hunt won America's hearts as recently wed, endearingly neurotic Paul and Jamie Buchman in this long-running romantic comedy. Coping with marriage, mood swings, love and life in New York City, interacting with celebrity guests including Lisa Kudrow, Carl Reiner, Carol Burnett, Jerry Seinfeld, and Cyndi Lauper, they kept us watching for 7 seasons. This set includes every episode of the multiple Golden Globe and Emmy®-winning series, plus many bonus features. 164 episodes, 64 hrs, 14 DVDs.